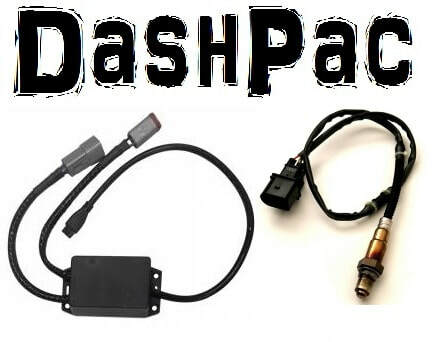 The DashPac will display boost pressure in PSI and air fuel ratio right on your factory dash. Works on all 2009 and newer Bosch iControl skis. This is an all in one package which is completely potted and waterproof. The wide band controller offers the latest technology in wide band technology and comes with a Bosch LSU 4.9 02 sensor. Once the unit is connected to the skis OBD port you will be able to display air fuel ratio and boost on the factory dash. You toggle between the AFR and boost settings using the skis factory up and down arrows. This model requires installation of a sensor into your exhaust manifold.